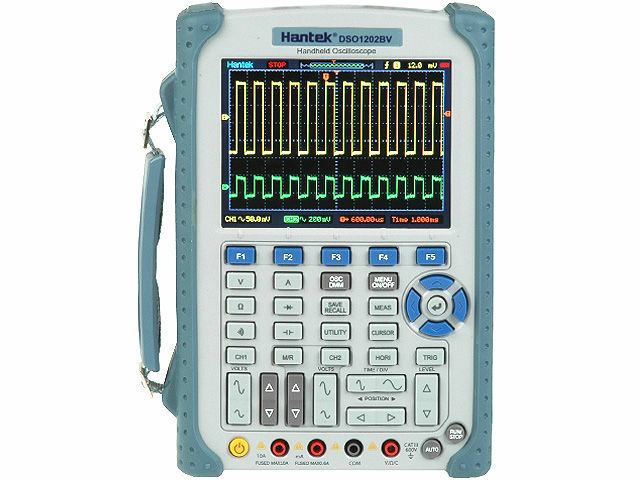 The offer of portable 2-channel HANTEK oscilloscopes has been extended with two new models with the operation band of 60 MHz and 200 MHz. Fast sampling of 1 Gsa/s, the memory record length of 1 Mpts/ch, intuitive menu and AUTOSET function are few among a number of advantages offered by this device. In order to prevent users from making a mistake during operation with embedded multimeter, the device displays the manner of connecting test leads to the input terminals. Battery power supply allows work outdoors.